As I was thinking about the Passion theme for the Creative Every Day Challenge, I looked up at my bookshelf and saw lots of inspiration there, so I thought I'd share! Here are just a few of my favorite reads that inspire passion in me, that are written with a certain firey passion, and/or encourage living a passionate life. 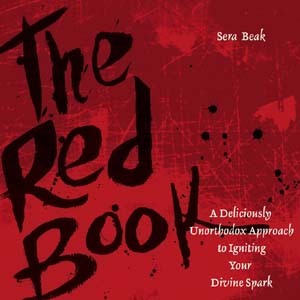 Ok, this one is top of the list for passion: The Red Book: A Deliciously Unorthodox Approach to Igniting Your Divine Spark by Sera Beak. While this book might not be for everyone, I loved it. It's a book about spirituality that's got a great feminine vibe to it and it's written with great energy and a sense of humor. It's all about asking yourself meaningful questions, understanding more about what makes you tick, living with arms wide open, and "releasing your divinity into the world." 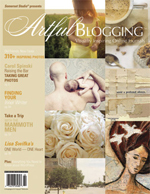 The author also has a great website and blog: Spiritual Cowgirl. Next up, is a book by SARK. I remember reading Succulent Wild Woman: Dancing with your Wonderf-Full Self and wanting to give the book to every woman I knew. It's juicy and delightful, bold and funny. SARK describes a succulent wild woman as, "A woman of any age who feels free to fully express herself in every dimension of her life." Sound good? The book goes own to talk about how to bring more of this wild succulence into your life with activities, drawings, and stories. She's a great storyteller. 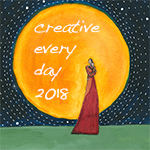 I love this quote from a big new free happy unusual life by Nina Wise: "Creativity is about our capacity to experience the core of our being and the full range of our humanness." Yum! This book is all about connecting with yourself, your creativity, with others, and with life in general in a more playful, creative way. My copy is totally marked up with words and doodles. It's a one of my favorites. Another favorite is The Book of Awakening, it's a daybook written by Mark Depo. The essays are amazing, but I'm mentioning it in this post because the writing has a certain passion in it, possibly informed by the author's relationship with life and death, as he wrote this while recovering from cancer. It strikes me that most of these books have a certain spiritual edge to them. How interesting! Anyway, I'm curious, what are some of your favorite passionate reads? I think it’s time for me to re-read Succulent Wild Woman. I’ve been thinking lately about what book has influenced me most in my life, and I haven’t come up with the answer yet. I think I need to spend some time in front of my book shelf thinking about this one. I think anything by SARK is an amazing read and I am reading The Book of Awakening, too. The writings definitely have a very passionate strength about them. They seem to speak to exactly what I am thinking about or dealing with. 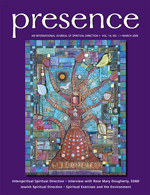 A friend and I are both reading through it this year and have great passionate discussions about the writings each day. Thanks for the great reading suggestions! The Red Book looks great – I’ll definitely check it out. I’ve got so many on my list right now. But one I just completed and loved was The GiftS Of ImPerfection by Brene Brown. It’s simply fantastic. I really enjoyed the Red Book. It has an interesting and fun take on things. I just found two of these books at my library! I can’t wait to pick them up tomorrow and start reading. Thanks so much for the suggestions. Wow, I love this discussion. So many choices. The first that come to my mind are “The Little Prince” by St. Exuperie, anything Rumi, “Nothing but the Marvelous,” Henry Miller. And ditto on many of the above. ETC! All of SARK’s books are fabulous! She inspires me and ignites my love of color and words and splashy, spontaneous creativity. If you love being creative (and you do if you’re at this site) then you absolutely should read SARK’s books. I just bought Succulent Wild Woman and can’t wait to get started on it. I like Sabrina Ward Harrison too, and The Alchemist by Paulo Coelho. I love talking books!! Thanks for these recommendations. I haven’t read any of them & they all sound good. There are so many books that have ignited the passion of inspiration for me but my first thought was of author Natalie Goldberg. Her books, especially ‘Wild Mind’ and ‘Writing Down The Bones’ are full of passion and encouragement. These two are about writing but also about being creative, self expression and trusting yourself. 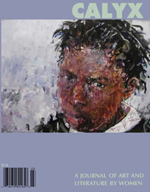 Natalie Goldberg is a painter & writer and has written about both forms of creativity. I’m a little late to the conversation, but want to contribute a couple of other books that have inspired me. Of course, the list can always be much longer! 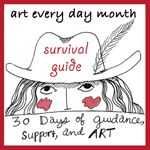 There are so many great resources out there for us artist types. I loved SARK too! Very yummy reading. My passionate read? Gosh — too many to choose! Love these reading suggestions! If I weren’t already sitting on a huge pile of unread books, I’d be ordering them right now.